In Pennsylvania, gaming law is starting to echo liberalization efforts in neighboring New Jersey. Tired of losing revenue to Atlantic City, the Quaker State started regulating casino gambling for themselves. A dozen legitimate casino properties are now open from the Poconos to the Philadelphia waterfront district, with a major operation under construction in the middle of downtown Philly. The plan to recapture Pennsylvanian’s gambling revenue from the casinos on the Jersey shore has worked – so much so, in fact, that it’s said the loss of that revenue is a major factor in the recent collapse of Atlantic City casinos. Unfortunately for sports bettors, the state has not moved to allow any form of sports gambling. That’s no big loss yet, since sports bets still aren’t legal in Atlantic City, either. Now that New Jersey is set to allow sportsbook operations on the Shore, it may not be long until Pennsylvania follows suit. For now, though, you won’t find a legal brick and mortar sportsbook in the state. Let’s take a closer look at the sports betting scene in Pennsylvania, including some specifics on gambling and Pennsylvania law. Founded in 1883, the Phillies are the oldest continuous franchise in all of American professional sports. The team has won two MLB World Series titles, both in the last three decades. Pittsburgh is in the doldrums of a long franchise slump. The Pirates have five World Series titles to their credit, but have only made the playoffs twice in the last twenty-five years. One of the original NFL expansion teams, the Eagles have been perennial playoff contenders since the year 2000. Though the Eagles have no Super Bowl titles, they’re one of the flagship franchises of the popular and lucrative National Football League. One of the oldest franchises still active in the NFL, the Steelers are six-time Super Bowl champions. They fly under the radar compared to loud and flashy Philadelphia, but they have the hardware to prove their elite status. Winners of back-to-back NHL Stanley Cup titles in the 70s, the Flyers have (pardon the pun) flown under the radar since then. Philadelphia has won a single conference championship in the past quarter-century. When you think of the 6ers, as fans call the team, you think of some of the great names of the game. Once home to players like Wilt Chamberlain, Julius “Dr. J” Erving, Moses Malone, Charles Barkley, Allen Iverson, and Dikembe Mutombo, the team is struggling to form an identity after being NBA cellar-dwellers for four years in a row. The Union are a relatively-new addition to Major League Soccer, having participated in just five pro seasons. The team has struggled a bit, reaching the MLS Cup playoffs just one time. There is no mention of “online gambling” or “online sports betting” or any form of Web-based wagering in the state’s gaming legislation. The best we can do is look at the definition of illegal gambling in order to figure out if placing a sports bet at an online book is legal or not. Trouble is – the state’s laws are not very clear. We have a definition for “gambling device” – any “… punch board, drawing card, slot machine, or other device to be used for gambling purposes, except playing cards.” This comes from Section 5513(1), and it doesn’t do much for sports bettors. The state’s criminal code implies a misdemeanor penalty for offenses of unlawful gambling, but doesn’t go into any specifics about the penalty. If you’re just a participant in an unlawful bet (and not a provider), the state doesn’t have a penalty schedule to place you on. What about social gambling laws – could private sports bets be covered under the state’s liberal social and charity gaming rules? That’s unclear to – the only thing illegal about private betting is hosting a game, under any circumstances, whether you charge admission or not. The state law says, in Section 5513(2) that it is a misdemeanor to “… allow persons to collect and assemble for the purpose of unlawful gambling at any place under his control.” The penalty is a pretty serious misdemeanor for a first offense. As far as I can tell, it would be hard to prosecute someone under Pennsylvania law for an act of unlawful betting on sports, since there is no penalty and the word “gambling” isn’t defined in the code itself. But – and this is important – I am not a lawyer. I repeat, I AM NOT A LAWYER. I read every word I could find on gaming law in the Pennsylvania code and interpreted it using my own common sense. If you have specifics questions about gambling on sports in Pennsylvania, I encourage you to contact a lawyer familiar with that subject matter. This isn’t legal advice. 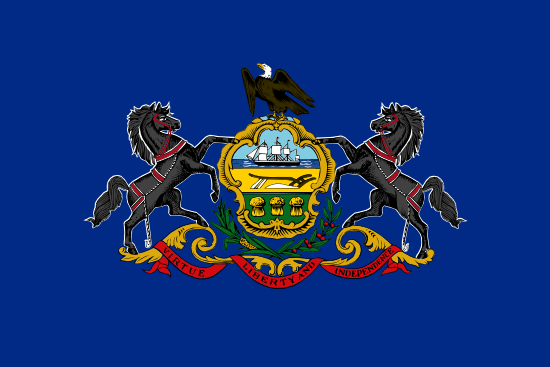 Pennsylvania gaming law is in a state of transition. Big changes in recent history are a sign that the state is on the leading edge of gaming regulation in America. Though the legality of online sports bets and other forms of gambling is murky (as is the case in most of the United States), The Quaker State is generally liberal when it comes to enforcement. With tons of PA resident cash flowing into neighboring New Jersey, it’s no wonder Pennsylvania is taking steps to regulate gambling inside their own state lines.